High VisibilityWELCOME TO THE THE WIDEST ONLINE RANGE OF HIGH VISIBILITY CLOTHING. DON'T FORGET TO ADD YOUR PRINTED LOGO TO YOUR HI-VIS CLOTHING BEFORE YOU CHECK OUT! 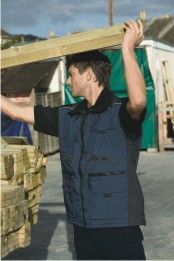 WorkwearCheck out our huge range of quality workwear! FootwearTop branded footwear, safe and comfortable! Personal ProtectionBe safe and protected with our personal protection range! 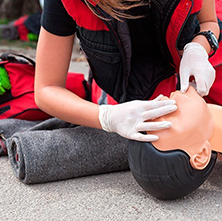 First Aid from www.hivis.net - Keeping you safe and ready for workplace accidents! 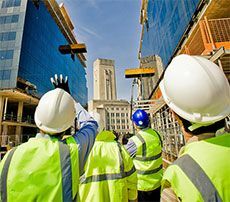 www.hivis.net is far from just HiVis ! 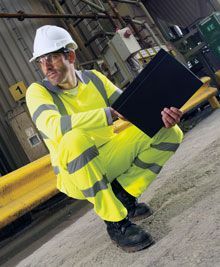 Corporate wear from www.hivis.net - making Britians workers smarter! If you are looking for your logo / text / design to be applied to your Safety Helmet in a more professional, and long lasting finish than a sticker, then this item is for you!! We now offer our best selling EVO2® Industrial Safety Helmet with your design applied in permanent ink to the front of each helmet. The minimum order for these helmets is 40 pieces. Enables firm fitting of a range of Surefit safety visors and ear defenders (purchase separately). All Safety Helmets come automatically with TWO FREE text or logo stickers, for self application upon delivery (please note we no longer adhere them prior to delivery). Please add the items to your basket and follow instructions from there to create your free stickers. Orders placed without a logo uploaded will be sent without any stickers. Upon delivery please keep an eye out for your FREE stickers - they will be contained in a clearly marked envelope. We also offer Safety Helmets with your logo directly printed on to them, subject to a minimum of order of 40pcs. Please note that printing is not available on your current device. To set up printing for your order, please use a desktop computer or else give us a call. This item qualifies for bulk purchasing discounts, using the following breakpoints and prices. Contact us now to enquire about our fantastic deals and facilities for business trading. If you already have a B2B account please log in to access your items and prices.